One fortunate punter has been able to trigger a life altering progressive while playing at Sky Vegas earlier on this week. This punter was playing Blueprint Gaming’s “The Pig Wizard” when he triggered the progressive jackpot, winning £575,144 in the process. This is one of the larger progressives to be won through this video slot as well. Unfortunately Sky Vegas hasn’t revealed many of the details regarding as to how or who triggered this progressive jackpot. This most likely due to the fact that the winning player wishes not to reveal their identity. 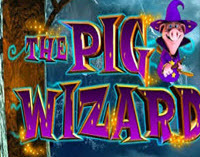 This is common when someone triggers or wins a large amounts of money through online gambling or the lottery.The Pig Wizard though is a 5 reel, 20 payline video slot developed by Blueprint Gaming. Based around magic players will be able to activate wilds, free spins, scatters, multipliers and bonus games when playing this slot as well. The jackpot available in the game is a progressive, this means that is it constantly expanding. The largest jackpot to ever be won through this video slot is £623,317, the identity of that player has still yet to be revealed. This video slot is only available at a very select few online casinos. The two main casinos being Betfair and Sky Vegas, those wishing to try out this game will have to sign up a player account with one of those casinos in order to do so. The opportunity of winning a progressive jackpot such as this one makes that registration worth the while. This entry was posted in Uncategorized on July 14, 2015 by admin.